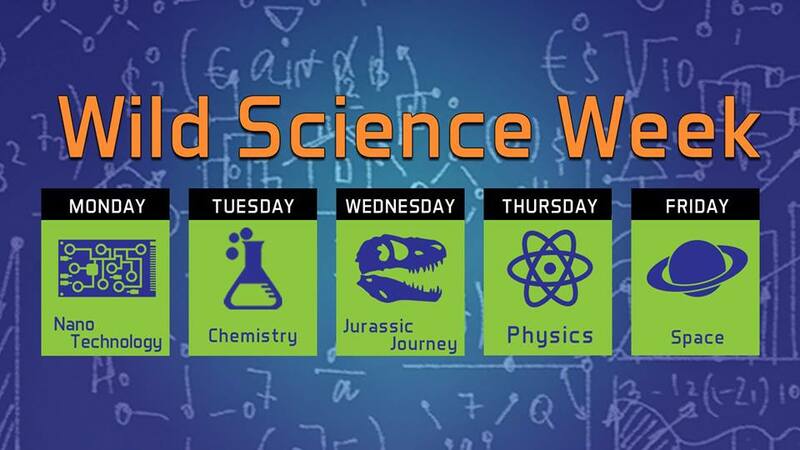 Come check out the new Science Center and it’s Wild Science Week at the museum! Every day will be a different theme learned through exciting experiments, fun activities, and crafts! Don’t miss this opportunity to see the majestic Asian Elephants and talented artists and performers under the big top! We look forward to seeing you at the circus! And may all of your days be circus days! Keach Family Library (Nueces County Library System) Greenscreen Mania from 6 to 7 pm Come learn how a greenscreen is used and have fun with it with different apps! 6yrs old - 12 yrs old. Join us as we enjoy a family favorite. We provide a snack and drink, but you are welcome to bring your own munchies, a blanket, and pillow! Free and open to all ages. Come learn how a greenscreen is used and have fun with it with different apps! Ages 13yrs-18 yrs. Learn about science, technology, engineering, art, and math through science experiments. For ages 5 - 12. Join us for MOMS & TOTS (and Sometimes Pops! ): Ten Lucky Leprechauns for preschoolers (ages 2-5) with an adult caregiver. We're gearing up for St. Patrick's Day by reading Ten Lucky Leprechauns, creating silly masks and colorful rainbows with a variety of art materials. Who knows? We may even find some gold at the end of our rainbows! Join us for Mine Craft Edu fun. Space is limited. For ages 5-12. A meal, courtesy of the Food Bank of Corpus Christi, will be served to children who participate in the program.